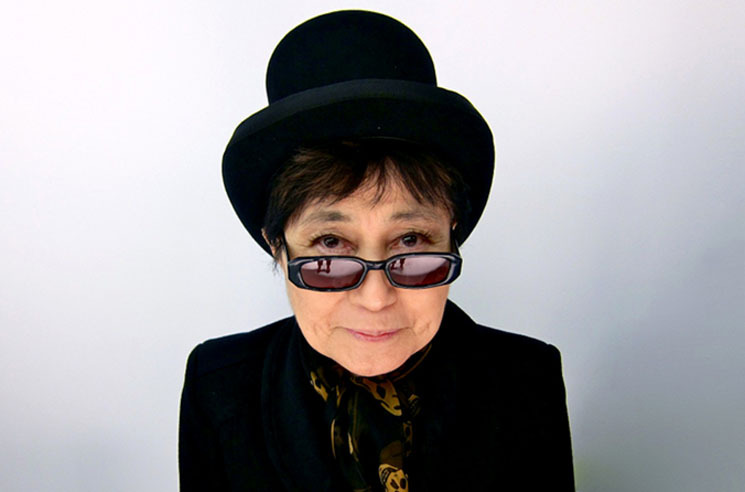 Yoko Ono was rushed to a New York hospital tonight (February 26) after reportedly suffering a stroke, sources say. Details of the avant-garde icon's condition are currently unclear, but the singer was apparently unconscious when officials transported her from her apartment to the hospital. CBS reports that Ono was picked up from Upper West Side apartment building the Dakota at 9:05 p.m. local time and brought to Mount Sinai West Hospital. A representative from the New York Fire Department said that she was unconscious at the time. Page Six adds that a source said Ono had placed a phone call to 911 this evening, and said that she feared she was suffering a stroke. UPDATE (2/27 12:30 a.m.): Ono's rep, Elliot Mintz, has told Associated Press that Ono was hospitalized for flu-like symptoms, and will likely be released over the weekend. Ono's son, Sean Lennon, also hopped on Twitter, saying his mom did not suffer a stroke and "is fine." Ono turned 83 earlier this month, with her birthday arriving a day ahead of the release of her recent remix collection, Yes, I'm a Witch Too.